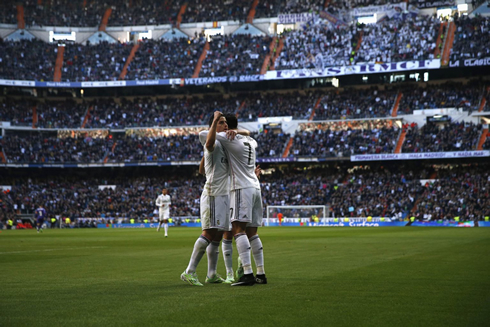 ﻿ Real Madrid 3-0 Espanyol. Back on the winning track! 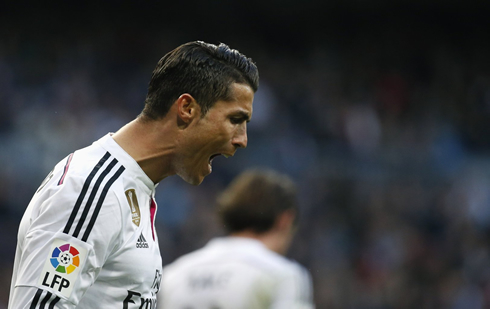 10.01.2015 » Real Madrid 3-0 Espanyol. Back on the winning track! It took a while for Real Madrid to get back to their old habits in 2015, but they've finally done this Saturday evening, in a 3-0 home win against Espanyol. James scored the opener following a perfect assist from Ronaldo, and then Gareth Bale and Nacho confirmed the Merengues's victory. Reeling off the back of two straight losses in competitive matches (three total overall), Real Madrid headed into their home match against Espanyol hoping to stop the bleeding and get back to winning ways. At the end of the day, the Merengues were certainly happy to have done their job with a 3-0 win against Espanyol and nothing better than a victory to get prepared for the big clash against Atletico Madrid next Thursday. It was a bit of a changed side for Carlo Ancelotti though, with Dani Carvajal and Sergio Ramos both suspended and Marcelo given a rest, Alvaro Arbeloa, Raphael Varane and Fabio Coentrao were each given a run out. All in all however, it would be a relatively easy match for Real Madrid, who dominated throughout and truthfully, could have bagged a couple more goals had they been more decisive in front of goal. Gareth Bale, who has been under fire for his lackluster performances not only in the past few games but frankly throughout the season, found his feet today and put it a much more polished performance, though the indecisiveness in front of goal reared its head a few times again. Ancelotti moved the team around a bit, in an effort to create a more fluid Madrid attack after only one goal, that was scored from the penalty spot, in the past two games. Bale and Ronaldo were in constant movement, the same with James and Isco right behind them. 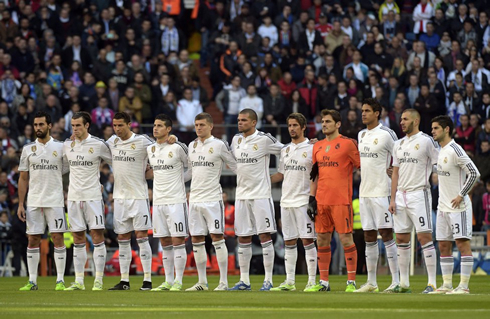 Real Madrid started brightly, eager to put the game away early. A Karim Benzema volley ricocheted off the post past an outstretched Kiko Casilla in goal in the 10th minute and it only seemed a matter of time before the hosts would break down the team coming from Catalunya. And it would be two minutes late when the Colombian James Rodriguez would finish off one of the best moves of the season. 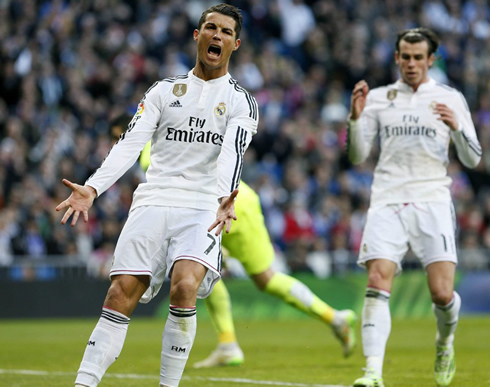 A cross field ball from Gareth Bale found the feet of a streaking Cristiano Ronaldo. The 2014 FIFA Ballon d'Or nominee would ping a one-time ball back into the path of the on rushing James, who then smartly tucked his low shot past a helpless Casilla in goal. Bale would again be involved, this time more directly, in the second goal. A stunning freekick in the 27th minute curled in off the post, leaving Casilla rooted to his spot. It was an important goal for the Welshman, who's been struggling for form, and by the looks of his enthusiastic celebration, he sure knew it as well. The second half brought more of the same, with Real Madrid attacking relentlessly and Espanyol doing everything they could to keep them at bay. Fabio Coentrao saw his night cut short after he was harshly sent off for a late tackle, but it didn't seem to affect Madrid too much, as they were already in full control by this point of the match. Gareth Bale missed a golden opportunity to put the match away when he failed to play Ronaldo through on goal, instead selfishly shooting himself and missing the target. It's been a constant problem for him this season, the move itself reminiscent of the missed chance against Valencia last week. 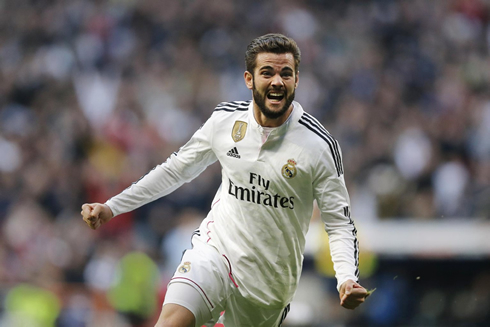 However, Real Madrid would still seal the game with a third goal in the 76th minute from substitute Nacho Fernandez, who tucked away a low shot from an Arbeloa cross. 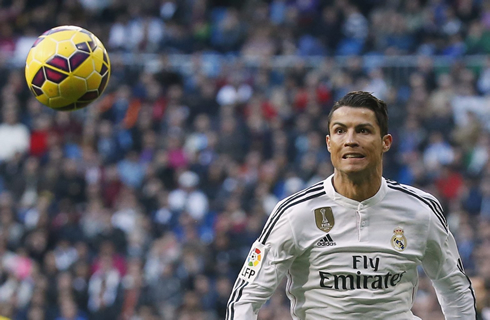 All in all, it was a comfortable game for Madrid, ahead of their second leg showdown with Atletico Madrid next week. Cristiano Ronaldo next game will be for the Copa del Rey second leg against Atletico Madrid, on the 15th of January of 2015. In the meanwhile, you can watch the FIFA Ballon d'Or ceremony, Barcelona vs Atletico Madrid, Manchester United vs Southampton, Arsenal vs Stoke City, and Napoli vs Juventus, all matches provided from our soccer live section.